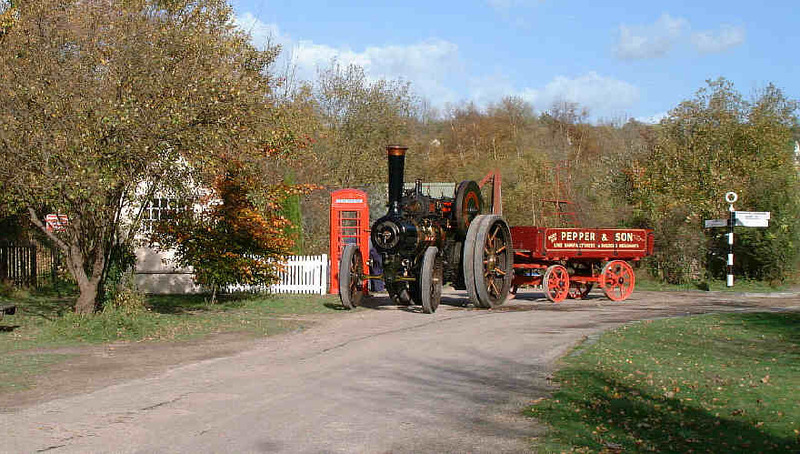 Amberley museum is set in several acres of downland countryside. Visitors are often surprised at the variety of displays relating to local industries. 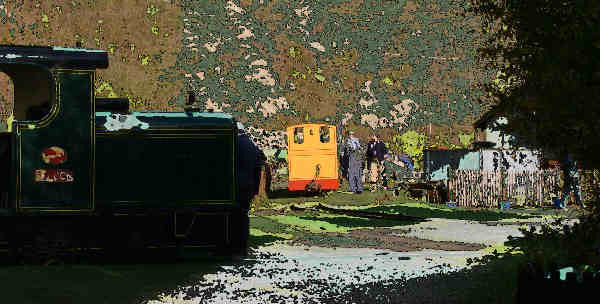 Visitors can travel on one of the vintage buses in use each day, and take a trip on the industrial railway. 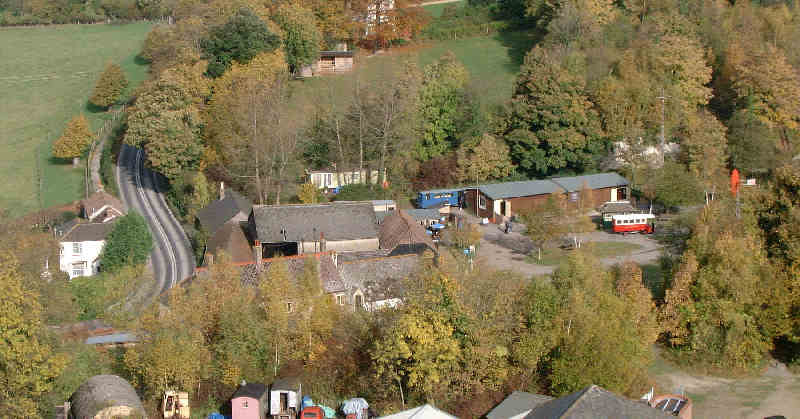 The size of the site means that there is always a peaceful spot on even the busiest of days. 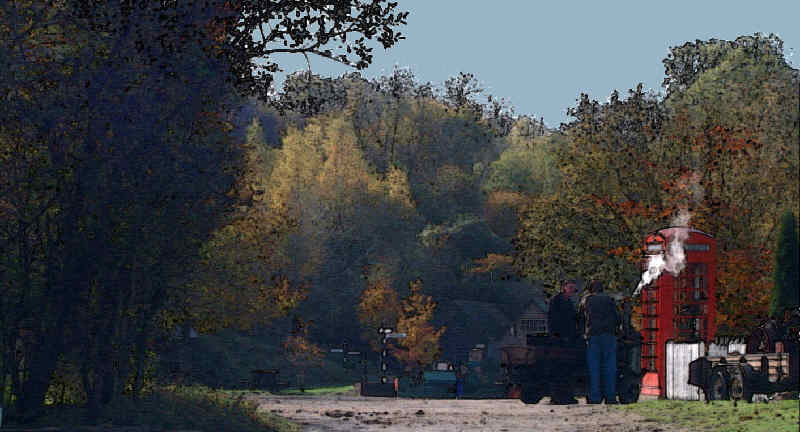 This page depicts the beauty of the site using photographs and graphic artworks. The museum is open from early March to late October, Wednesday to Sunday (all week during school holidays). In addition Father Christmas pays a visit on most weekends in December. 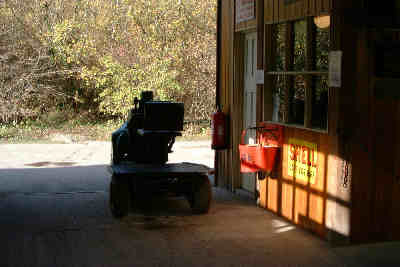 Contact the museum for opening times or other information at Amberley Museum. 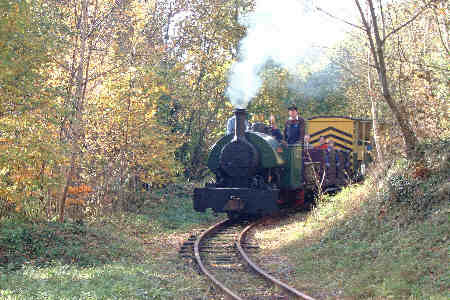 Autumn colours at the final day of normal opening in 1999. Despite the tranquility of this scene, the museum was reasonably busy. Anyone feeling energetic can climb the hillside trail. The reward is the view. This is just a part of the museum site. 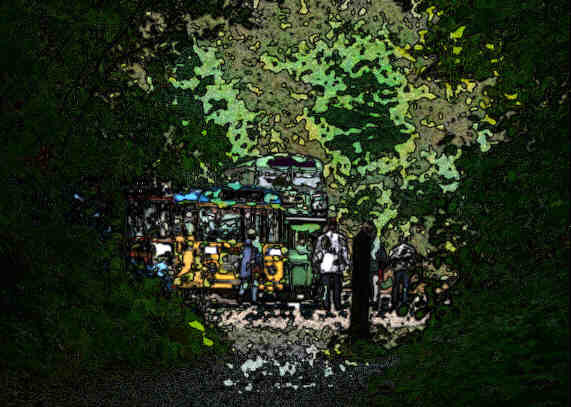 The 'tramocar' bus and train can be seen in this view. A view of the main arena before the majority of visitors arrive. 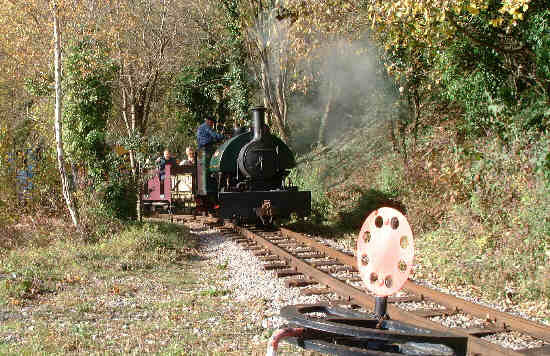 All steam ahead for the climb to Brockham Station. This train approaches Brockham Station. The far end of the site is dominated by the railway section. The James Bond film 'A View to a Kill' was also filmed here. Buses are very much in evidence here too. The bus garage is used to restore and service the buses. The late autumn sun shines in the country garage. 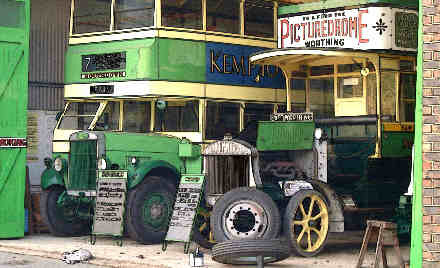 The museum stages a bus day each September. The day is usually very successful with upwards of 1000 visitors. 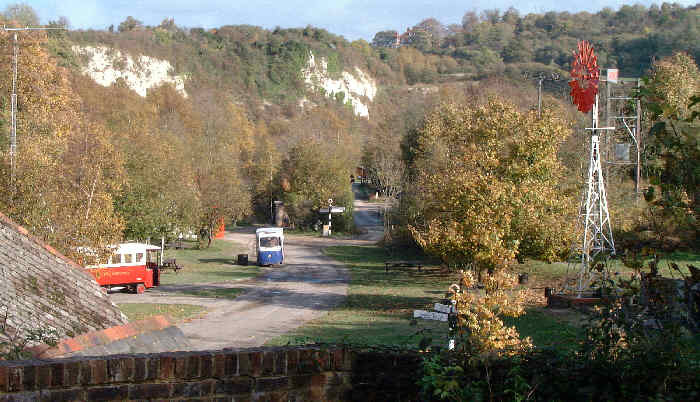 This view shows a few of the buses from the approach to the 'White Pit'. This peaceful scene awaited visitors to the museum on the final day of opening before the new millenium. The scene could easily have taken place a hundred years ago.